All from J. Crew's children's line, Crew Cuts. I know the prices are a bit ridiculous but I love mini grown up styles and no one does it better than J. Crew. 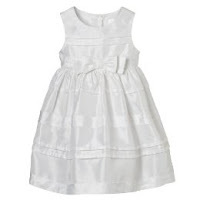 Cotton Posey Dress. $79.50. Layered cake dress. $64.00. Organdy Dress. $98.00. For the more traditional mama, you gotta love Target. 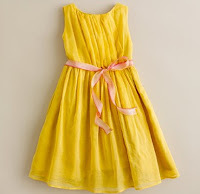 Cute dresses and even cuter prices! Tulle trim dress. $16.19. 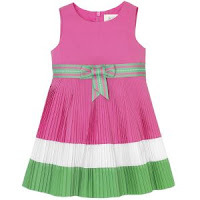 Pleated bow dress. $16.19. 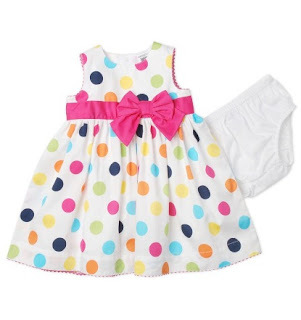 Macy's isn't the first place I think of for kid's clothes, but this polka dot number is just delightful! $17.99 from $30.00. Children's Place is hit or miss for me. Sometimes it's super cute...other times it looks cheap. But I am in love with these dresses. The prep and the flapper. So sweet. 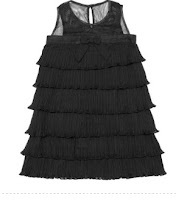 Pleated dress. $15.00. 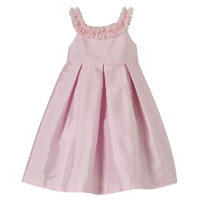 Tiered dress. $15.00.